These freshwater decapods adapt easily to any aquarium and are ideal for introductory scientific investigation with younger students. If picked up from the front they will pinch with their claws or "chellae", but they can be safely picked up from behind. 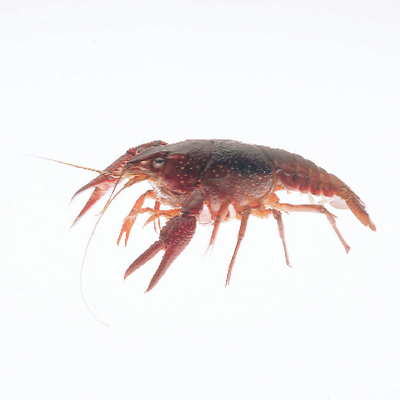 Crayfish can be found in most major bodies of water, including rivers streams and lakes. They tend to hide under rocks and logs, preferring to back into their dens, leaving their claws available for self-defense. Their diet consists of scavenged debris and smaller animals found in the water with them. Packaging: Crayfish will be packed in a plastic pail with a damp substrate. Unpack them immediately and provide them with water.